When I was a young child you would always find me outside, wind, rain or shine. Baby girl is exactly the same. She loves to get out in the garden as soon as she’s had her breakfast. She doesn’t come in properly then until tea time. I mean she pop’s in now and again to see what I’m up to. Or to catch me having a sneaky biscuit, but mainly she spends her day in the garden. With her being an outdoorsy girl I love to find her things to do outside. She has the usual slide, sandpit, water table, Little Tikes car, but I like to find her other educational things to do. She enjoys gardening with me, and looking after the chickens. 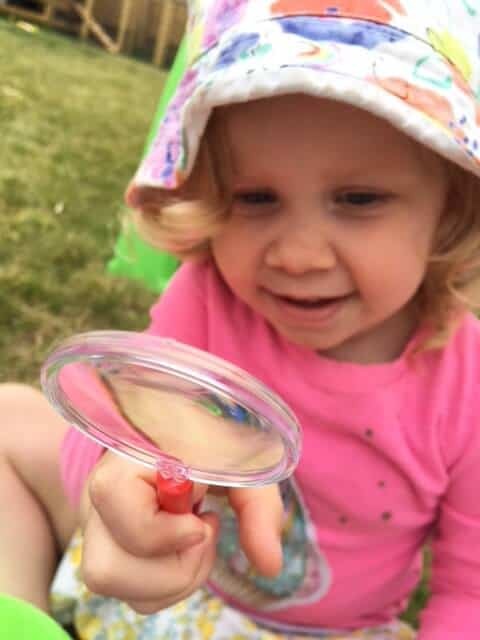 So when Sudocrem got in touch to let us know about their Play More campaign with Chris Packham I knew this would be an excellent activity for my little adventurer. So what is the Play More campaign? Play More has been designed to try and get children outside and playing more. 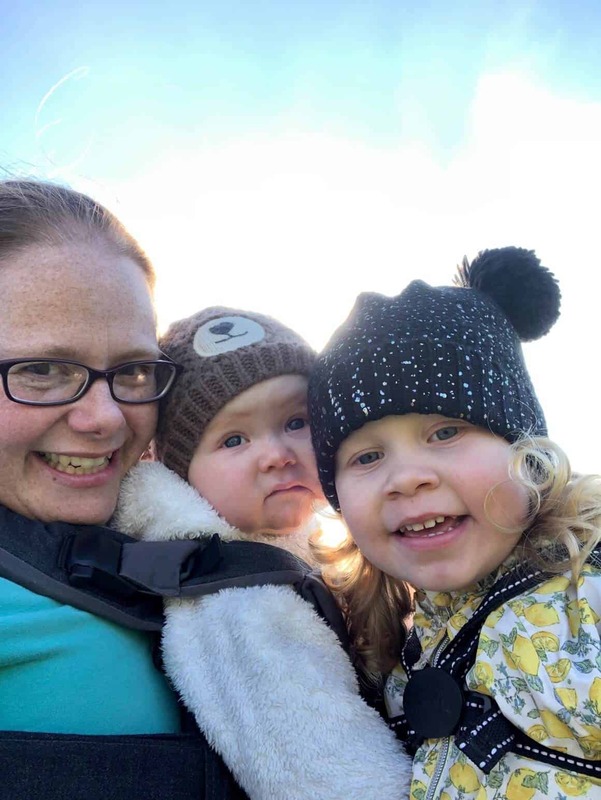 Sudocrem carried out research and found that children are spending around 45 hours a week in front of a screen and only 4 hours playing in the great outdoors. This year, they launched the campaign with the help of Chris Packham and carried out further research looking at the relationship between children and insects. 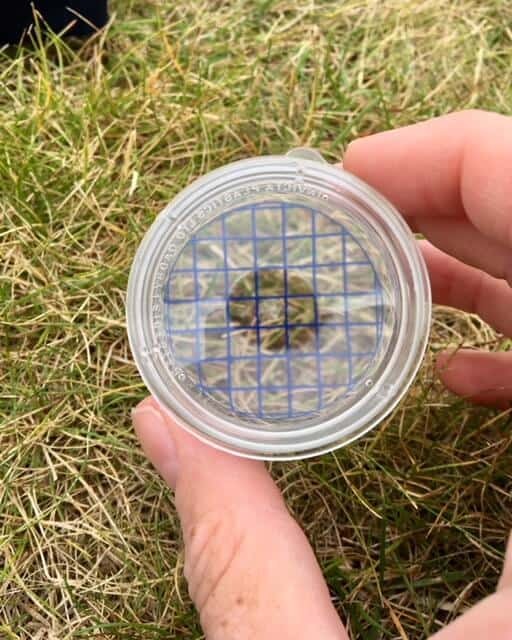 They found that a staggering 9 out of 10 children (89%) were unable to recognise a butterfly even though there is an abundance of native British insects, with around 27,000 insect species calling the UK home. Moreover, 51% didn’t know what a Bumblebee looks like. And, surprisingly, 1 in 3 (29%) didn’t realise that bees make honey. 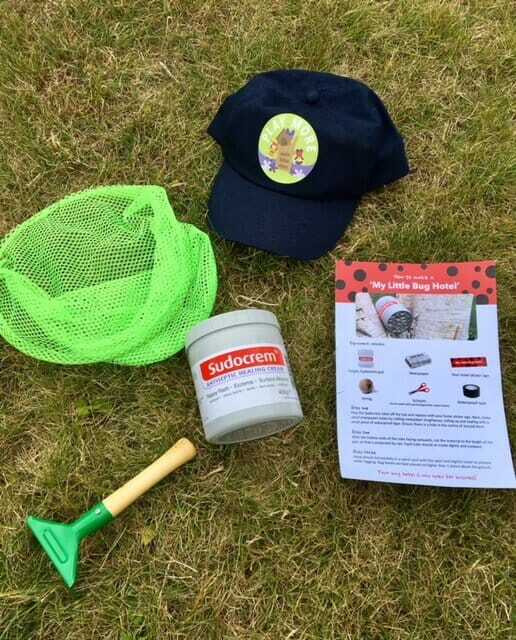 As part of the campaign, Sudocrem have put together and are giving away adventure kits which have been carefully put together to encourage children to play outside. Chris Packham is helping to provide more nurseries with support to improve their outdoor play areas. You can nominate your nursery to win support for playground regeneration or a mural, which will be painted by award-winning artist, Joy Pirkle. Well in the afternoons we have been outside looking for butterflies. Our garden is next to a natural hedge that is full of meadow plants and flowers so we get a lot of butterflies and bees and other insects coming into our garden. 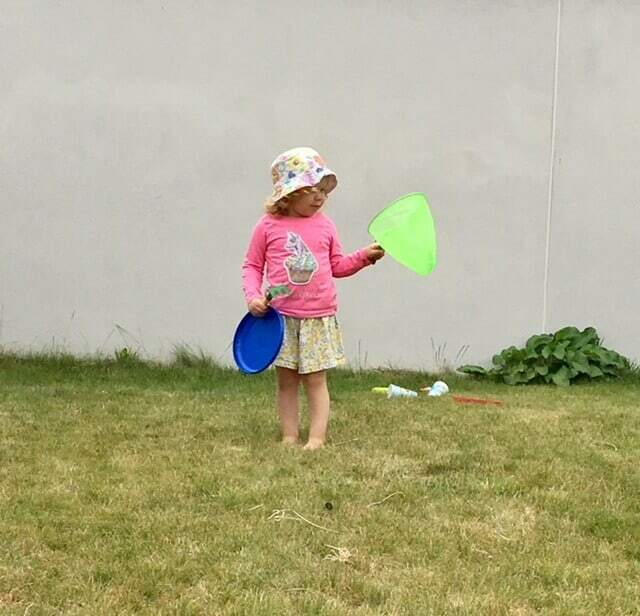 As you can see from the photo baby girl is ready with her butterfly net, oh and the frisbee and gardening fork! She is loving the bug pot with its magnifying lid and of course the magnifying glass. I believe it’s opened a whole new world up to her. I have yet to finish my huge pot of Sudocrem (they last forever! ), but once I do we will have a go at making the “My Little Bug Hotel” from the activity card that was in our kit. It looks like fun and the only extra equipment you need are everyday household items. 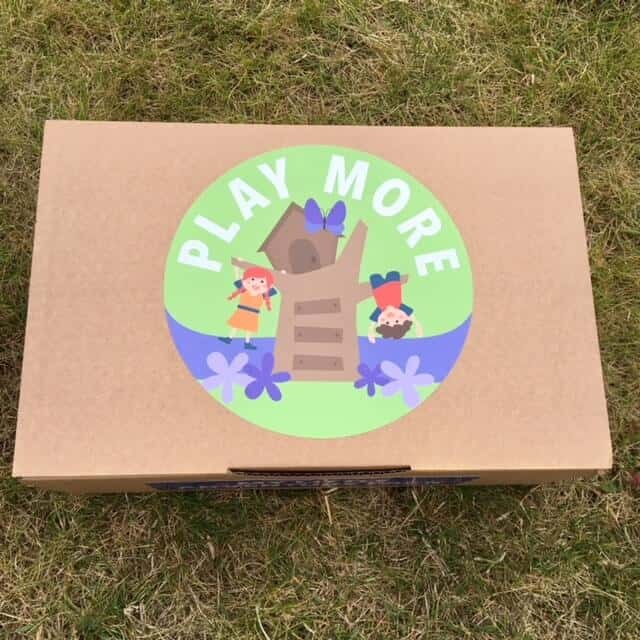 Sudocrem have kindly agreed to let me giveaway a Play More adventure box on my blog. All you have to do to enter is to fill in the gleam widget below. *Terms and Conditions – There is one Play More box from Sudocrem to giveaway. The prize is non-transferable and no cash alternative will be offered. The winner will be selected at random via gleam from all valid entries and be notified by Twitter and/or email. The winner will have 28 days to respond with a name and address before a new winner is selected. Open to all UK entrants aged 18 or over only. Facebook and Twitter are in no way associated with this giveaway. Any personal data given as part of the competition entry is used for this purpose only and will not be shared with third parties. The winners details will be passed to the PR for Sudocrem for contact regarding the prize. *We were given a Play More box in exchange for this post. Great giveaway, would love to play with this with my toddler Grace. This is a fab idea! My grandsons would love it! My kids would really love this. This looks great. I would love to win this! 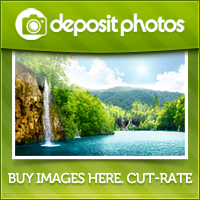 Fantastic Bundle!! Thank you Rachel and Sudocrem! Our kids have the perfect balance of love for tech and the great outdoors. I know they would love to win this kit and go bug hunting with us in the local forest as well as looking for beasties in the garden. The frisbee would most definitley keep both the kids and our dog happy for hours. This will keep the grandchildren happy in the holidays! This is a great idea – fun and educational at the same time. My 3 year old would love this. Thanks for the opportunity to win. I think this is brilliant for the outdoors, it looks really interesting. 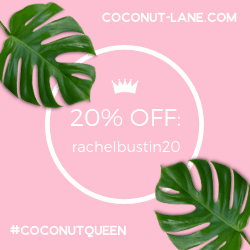 This giveaway is fantastic – great prize! My kids would love to find an adventure in their garden with this kit. My little girl would *love* this activity box! Great prize & thanks to you and Sudocream for offering it! Sudocream is a household staple of ours! 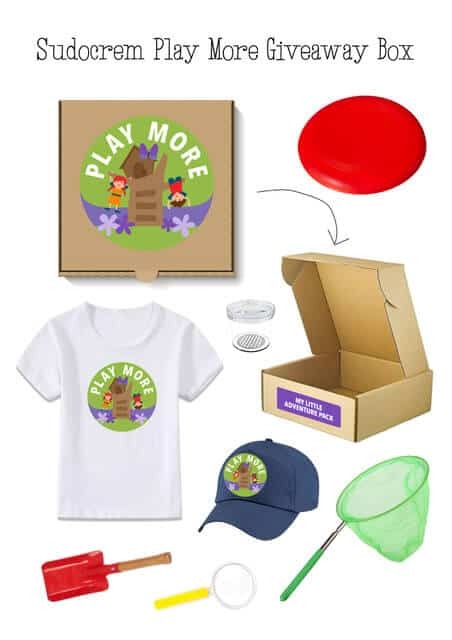 We would get lots of use doing fun things with our 4yr old with this activity box! This looks like great fun. Both my kids would love it. great thanks so much, should keep the kids occupied! This looks great, we love to get outdoors as a family. My kids would enjoy this box. Lots of adventures to have with this set! Lovely prize and will help get the kids outside. Looks fun, perfect for the summer! This is so perfect for the summer! For new experiences and exploring outside! This would be lovely for my niece. My grandson would love this to do some bug hunting in the garden. What a lovely set of prizes!! A great initiative for getting kids outdoors. Would love to get outside more with my nephew and explore. Would be great for my little daughter, fingers crossed! A perfect outdoor gift for little ones. Thank you. My little boy loves looking for bugs in the garden so this would be perfect for him. A lovely prize, thank you! The statistics are shocking aren’t they ?